Think of them as helpful stepping stools for students with disabilities. Accommodations can be written standards or physical tools that bridge the gap between students with disabilities and what they need to accomplish for school. Accommodations are offered once you have disclosed your disability, submitted your medical documentation and have met with your disability counsellor to review your medical or psychological considerations and discuss accommodations that will best suit you. If you are applying to York, be sure to disclose your information during the admissions process. You may have the opportunity to apply under a modified admissions procedure. This is a counsellor’s office at York. Don’t be afraid to pay them a visit! Remember, accommodations are less about giving students a leg up over other students, and more about leveling the playing field — a concept I discussed in my previous post Self-Identifying as a Student with a Disability. Check for more information on Alternate Exam/Test Scheduling requests. Do I deserve these accommodations? You might be wondering why these accommodations exist, or whether or not you deserve them. What I will say is this — there are numerous reasons that students receive one or more of these accommodations and no one reason is more valid than another. If a medical professional has validated your struggles, you DO deserve these accommodations. It’s as simple as that. What has your experience been with accommodations? I have to admit that I waited until the summer of 2014 to pursue accommodations, after being hard on myself for the past four years of my university career. I grew up facing some stigma around mental health, so while I always advocated for others, it was much harder for me to advocate for myself. I have faced many academic struggles that could have been avoided if I had reached out for help sooner. Please don’t wait. Having these accommodations sets you up for success at a level that suits your unique needs, and can mark the difference between floundering and flourishing at university. The alleviation of my academic stress has been invaluable to my overall health. Is there anything else I should know about accommodations? There is one other reason I want to encourage you to self-identify and get set up with accommodations. It will be much easier for you in times of crisis if you have these supports already in place — even if you choose not to use them right away. When I went through a few weeks of a bad bout and needed to take some time off of school, my disability counsellor supported me by helping me get a deferral for an exam. I didn’t even need an attending physician’s form because all my information was on file. So even if your mental health is currently managed, it is better to connect with Disability Services anyway, so that if something does happen, you are already prepared. This is an amazing and potentially life-changing bursary for students with disabilities who also get OSAP. Once you are registered with one of the services, you can ask to apply for this bursary. You can apply for up to $2,000 each year, and it can be used toward any disability-related educational costs. 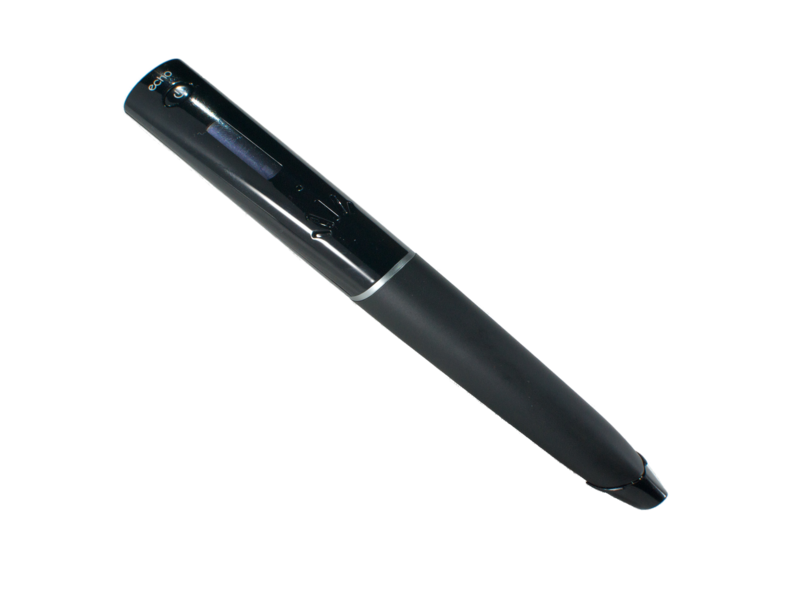 Many students use it for educational tools such as the Livescribe pen, though in my case I opted to put it towards something I’d never be able to afford otherwise —therapy. There are many other ways this bursary can be used, so don’t be afraid to ask your disability counsellor about it. Would something like this LiveScribe pen help you? Image Source. In general, CDS offers so many great resources. Personal Counselling Services — students are eligible for free personal or group counselling for the duration of the school year. This service fills up fast, so it’s better to register in early August if you want to start using this as a support during the school year. After one year of use, they will refer to community services near the school or where you live, but crisis (on-the-spot) counselling will always be available. I found this service to be EXTREMELY helpful for the year that I used it. Workshops & Workshop Series — Personal Counselling Services and Learning Skills Services offer a wide variety of workshops ranging from ones related to transitioning to first year (Stress Management) to ones focusing more on personal development (Breaking Out of Your Shell) or personal support (Coping with Grief & Loss). I have attended quite a few if these workshops and have always found them helpful and informative. New this year, PCS also offers a Personal Development Certificate for completing five workshops, and the Passport to Success for completing eight workshops. If you need an excuse, this is a great addition for your resumé! Comprehensive Information Package — I actually just discovered this while I was writing this article, but this is a MUST-BOOKMARK page. It contains information and contacts for many services around campus, including ones I’ve already mentioned, as well as ones like academic advising, the Writing Centre and more. Disability Services App — Also new this year, a handy free mobile app , which helps you quickly and easily access the many resources, services and programs available. I hope this has answered some of your questions and concerns. Please comment below or tweet me at @yorkustudents for anything else.